Sheriff John D’Agostini and the El Dorado County Sheriff’s Office have launched the official El Dorado County Sheriff’s Office Facebook page. The success that other law enforcement agencies have experienced with social media and a desire to stay connected with the citizens of El Dorado County were the leading factors in launching the page. The Sheriff’s Office will utilize the page to showcase its involvement with our citizens and the community in which we work. It is our goal that the information posted on the page will assist El Dorado County citizens in staying informed and up to date with the day to day functions and events that occur involving the Sheriff’s Office and El Dorado County. Another goal is to gain as many followers of the page as possible. As we have experienced recently in the Sand and King wild land fires, it is extremely important to quickly put accurate information out to our citizens. This page will allow critical information to reach the maximum amount of El Dorado County citizens in the shortest amount of time. An example was on 12/27/15 at about 11:40 AM, when deputies responded to a robbery that just occurred at Walgreen’s in the 4000 block of Plaza Goldorado in Cameron Park. The robber reportedly went to the pharmacy, demanded drugs, telling employees he had a gun, and ran from the store. Following up on several leads, some from the El Dorado County Sheriff’s Office Facebook page, deputies went to a residence in the 3100 block of Quad Lane to contact a person who matched the robber’s description. Inside the home, deputies located 18 year-old Brandon Purcell who appeared to be under the influence of narcotics. After a brief struggle, Purcell was taken into custody. The stolen pharmaceuticals were recovered. 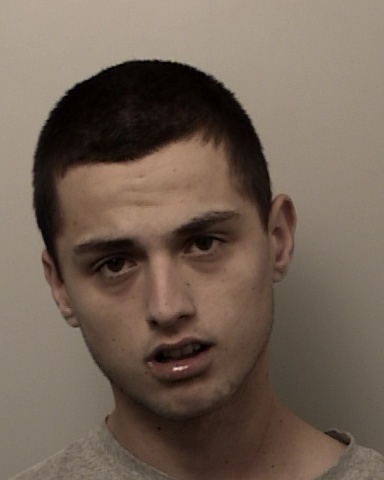 Brandon Purcell was booked into the El Dorado County Jail on Robbery charges. He is still in custody in lieu of $50,000 bail. The Sheriff’s Office encourages all of our citizens to spread the word about the Facebook page, like it, become a follower and share it with your Facebook friends.